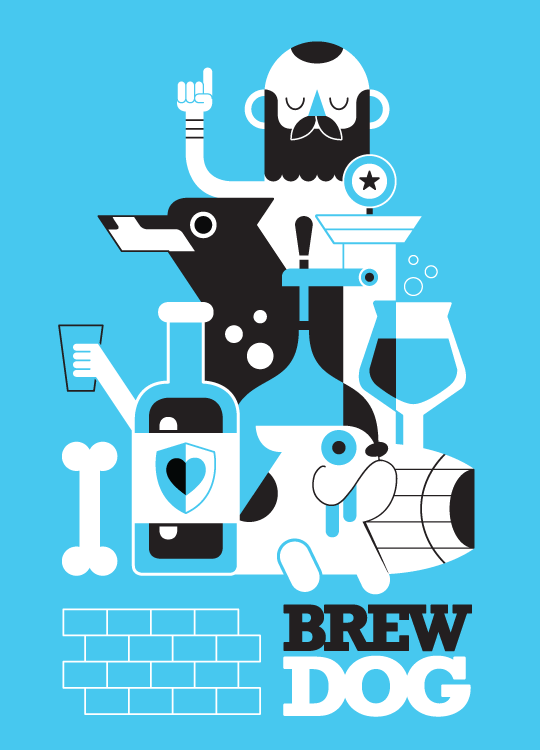 Momo & Sprits is a talented and fun-loving little design studio dedicated to creating whimsical, characteristic graphics and characters. 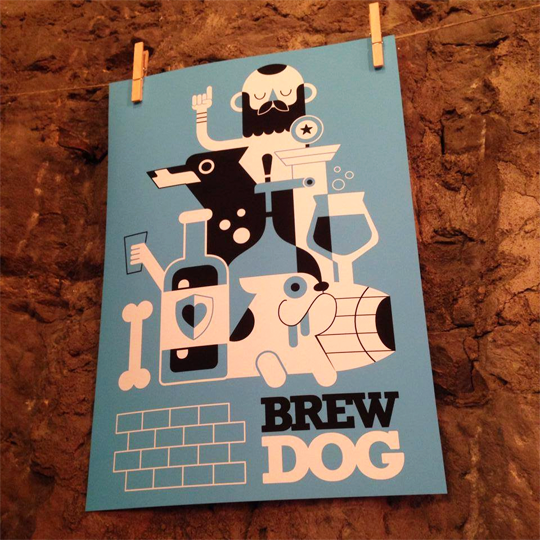 Our friends at Brew Dog Dundee commissioned Momo & Sprits for a custom artprint to be displayed and sold in their bar. 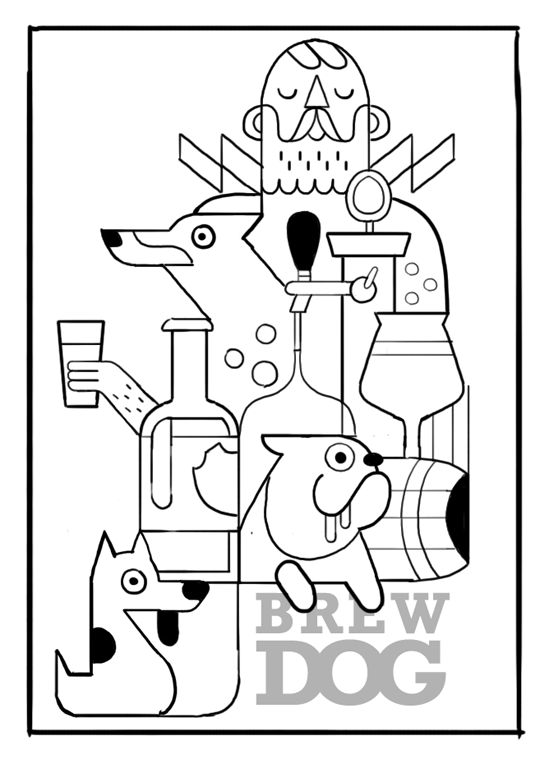 The combination of craft beer and dogs intrigued us, and so we came up with this design. All works © Momo & Sprits 2013. Please do not reproduce without the expressed written consent of Momo & Sprits.